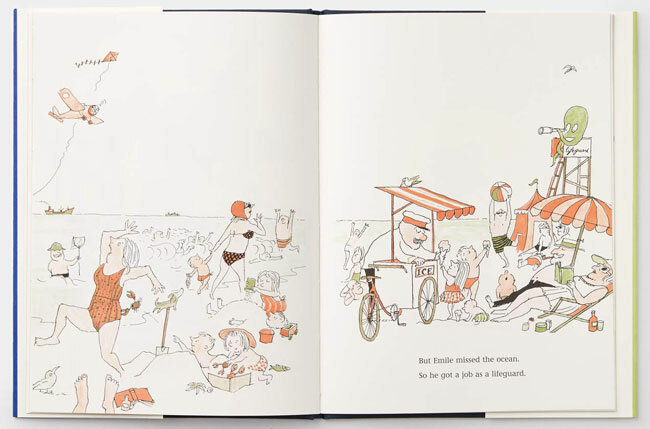 Phaidon is responsible for the return of this children’s book from 1960, which was (and still is) aimed at ages 5 through to 8. 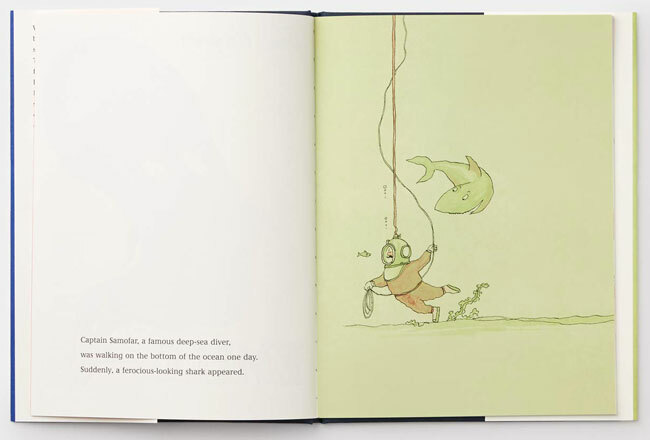 The age that most kids really start to discover the joy of reading. 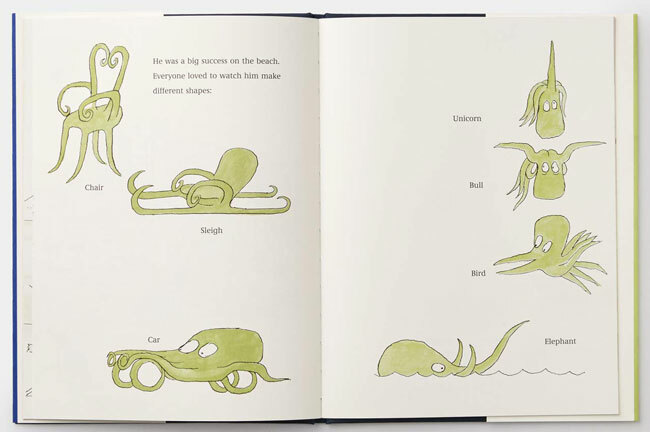 The midcentury illustrations in the 32-page hardback book are obviously a pull, but like all children’s books, it is the storyline that pulls them in and keeps them coming back. Emile is an eight-legged ‘hero’ who has twice as much courage and four times as many legs as most people. 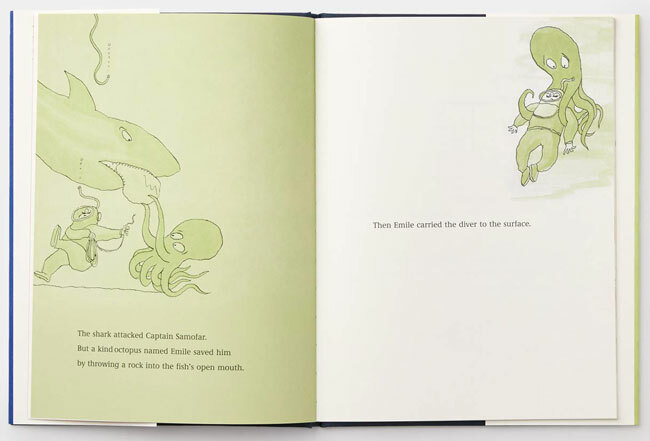 When deep-sea diver Captain Samovar is attacked by a ferocious shark, Emile comes to his aid. Grateful to his rescuer, the Captain invites him to stay at his house, where Emile sleeps in a bath full of salt water. 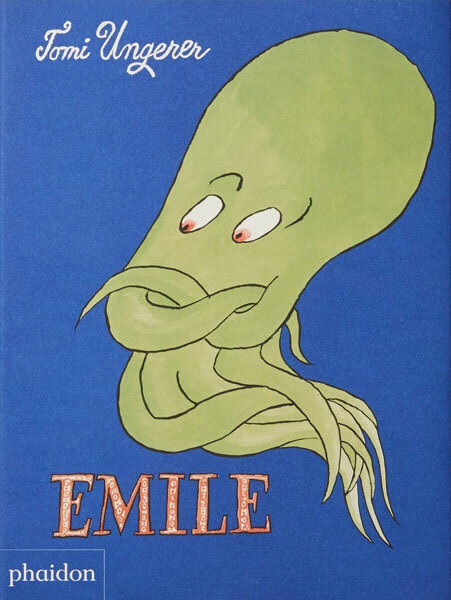 Emile turns out to be the most wonderful octopus. He is a gifted musician (able to play three instruments at the same time) and a great lifeguard, teaching children to swim and saving people from drowning. If you want to know how the crime-fighting, eight-legged hero, you will have to pick up a copy of the book. Or rather, pick up a copy for your child or children. In fact, you can pre-order now ahead of the 31st January release date, priced at £12.95.